Small table stand with brass base, very sturdy. Small table stand with brass base, very sturdy. It has a black matte finish. The bottom is fitted with a non-slip rubber disk. The stand has a 3/8" threaded stud for mounting the SG 21 bk, for example. 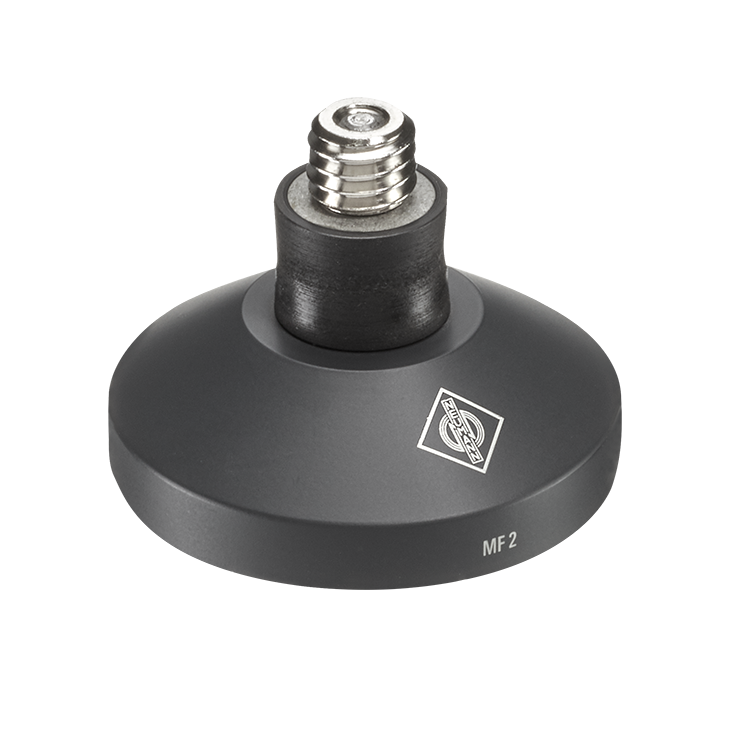 The rubber shock mount between the stud and the base serves to suppress structure-borne noise. Diameter: 60 mm, Weight 340 g.